Chevy Confidence was designed to ensure that you’ll get a great price on your new Chevrolet and that you’ll be satisfied with your new vehicle long after you’ve taken it home. 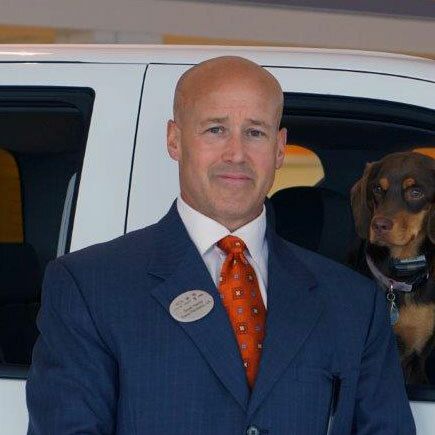 Bill Harris GM is proud to now offer our customers Chevy Confidence. Chevy Confidence consists of two components, Chevy’s Love It or Return It guarantee and Total Confidence Pricing. Total Confidence Pricing is simple: the price you see is the price you pay. The need for negotiation is eliminated, saving you time, hassle, and frustration. Total Confidence Pricing gives you peace of mind in knowing that you are receiving a great deal on a great vehicle from Bill Harris GM. The new Love It or Return It Guarantee allows you to have up to 60 days after your purchase to make sure you love your new vehicle. Purchase any 2012 or 2013 Chevy and if you’re not completely satisfied with it or don’t feel like it’s the perfect vehicle for you, you can bring it back between 30-60 days of the purchase date. However, we’re so confident that you’ll love your new Chevy we doubt you’ll want to! For complete details on the Chevy Confidence program, visit our Ashland dealership to speak with a member of our team. Visit us online at www.billharrisgm.com to view our current listings of new Chevrolet inventory. Let us show you why there has never been a better time to get behind the wheel of a new Chevy vehicle.